You are invited to a night of celebration! The Tucson area will be voting! 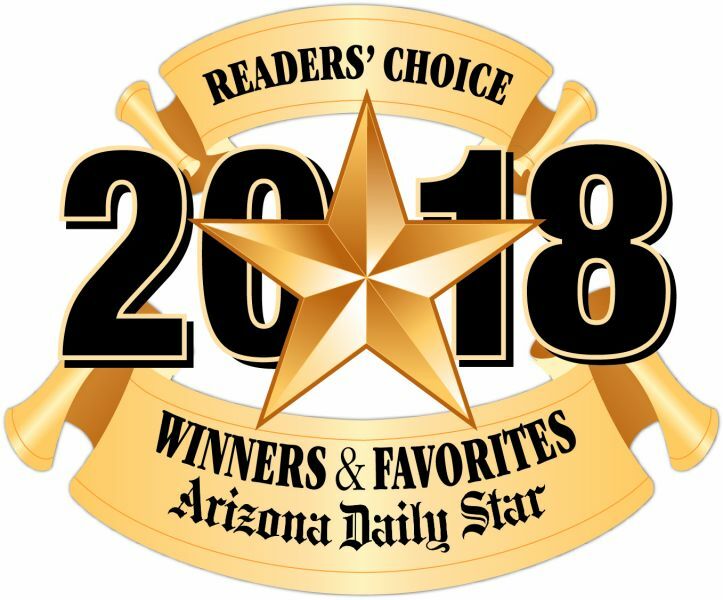 Thousands of Arizona Daily Star and Tucson.com readers will cast their votes in over 300 total categories ranging from food and entertainment, service providers to health care industry. More than 140,000 votes were received last year! On August 29th, Tucson’s most powerful media company will produce an awards ceremony where the winners will be revealed in each category. This fun, fast-paced event offers a great opportunity to reward your staff for their outstanding work, walk the red carpet and showcase your rewards, while having a little mid-week fun with our After Party dancing. The community is welcome to join in the fun to see if your favorite businesses are 2018 winners! Due to overwhelming response to our 2017 Sold-Out inaugural Awards Ceremony, we had to expand our venue to the JW Marriott Starr Pass. With a 1,000 attendee capacity, we expect another sell-out for the ceremony. Please join us for a cocktail reception, awards ceremony and an evening of dancing and celebration. Tickets $50 if purchased by 8/10; $60 8/11 - 8/24; $70 at the door. Ticket includes heavy hors d'oeuvres (sliders/taco station), dessert bar and one drink ticket. Discounted rooms are available for $112/night. If interested please click on the link below for reservations by July 30th. Connect with 2018 Readers' Choice Awards!